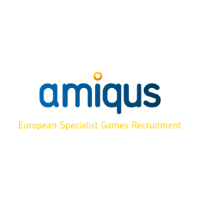 A multi award-winning European specialist in games recruitment, Amiqus offers a range of services which help clients engage with new talent in a way that best suits them, maximising their ability to attract great staff. Our friendly, knowledgeable and experienced team know the industry inside out and work hard to help studios to grow, and help individuals to build their careers. Amiqus is the force behind the G Into Gaming campaign, a pro bono initiative aimed at addressing the gender imbalance in the games development sector. Elsewhere, we continue to support early career development, advising students at all levels to help with their transition into studios across the UK and Europe.